Designed for those in love with the Cruzeiro team, the Technos Watch features analog mechanism and structure with 10 ATM water resistance. The piece contains silicone strap and buckle at the clasp for added security. More info. Designed for those in love with the Cruzeiro team, the Technos Watch features analog mechanism and structure with 10 ATM water resistance. The piece contains silicone strap and buckle at the clasp for added security. 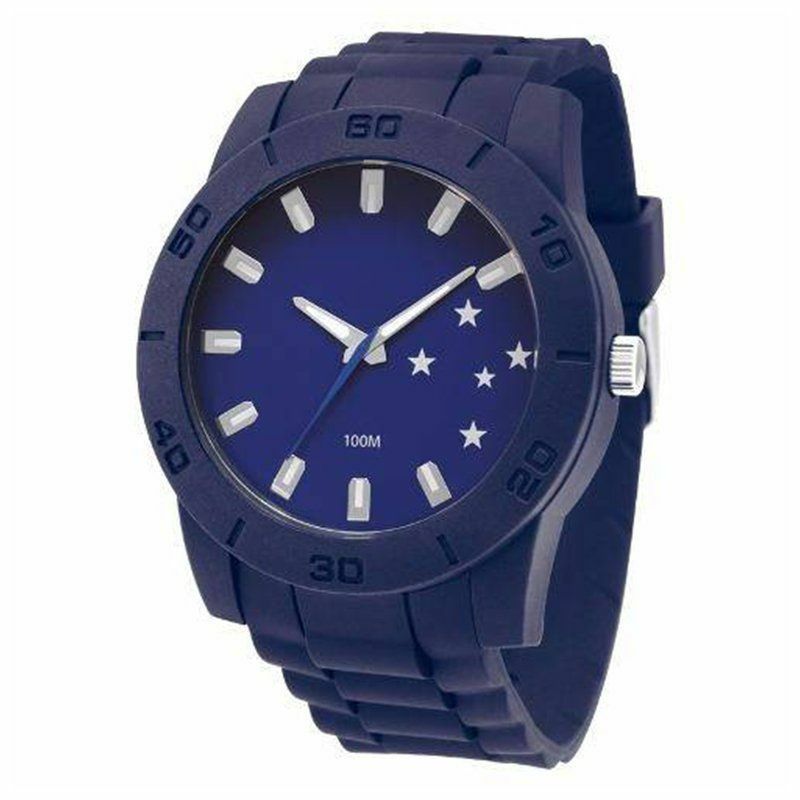 Its design is predominantly blue navy color and features royal blue in the display region. Finally, it comes with a personalized box and warranty certificate.